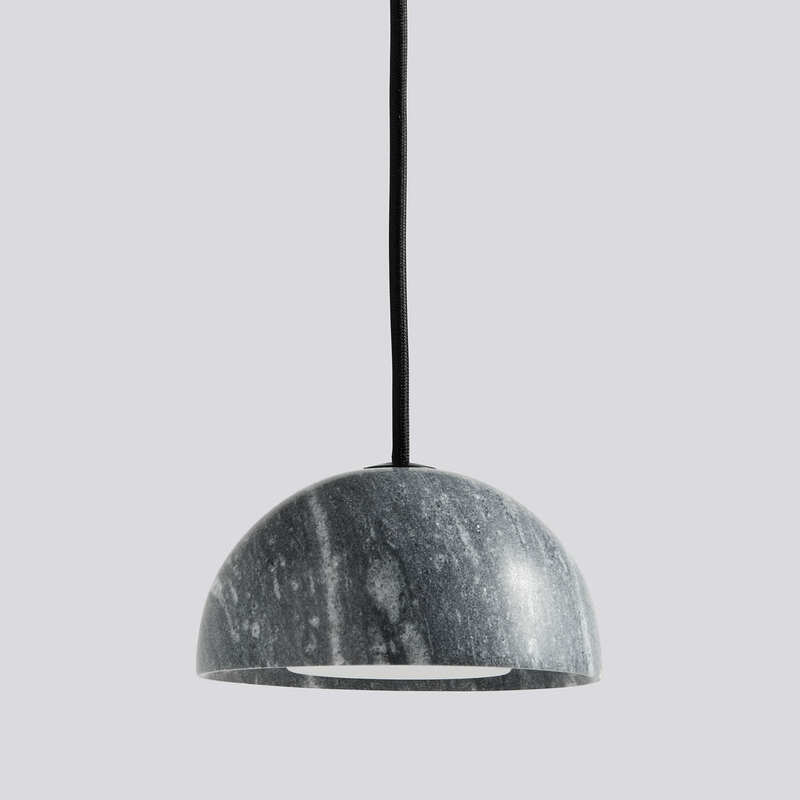 Sophisticated ceiling lamp to hang alone or several. Half marble sphere houses inside a long-lasting and easy-to-change LED light source. The light source is directed downwards and also illuminates the edge of the sphere. Please, look at the size before buying it. Design Wrong London.